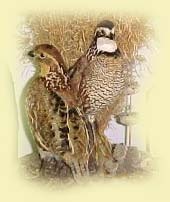 Fitzpatrick Quail Farm located in central Kansas offers some of the fastest flying bobwhite quail available today. Our birds are crossed with wild birds each year in order to maintain the necessary instinct for survival. This instinct translates into fast flying birds that explode when flushed. Birds are kept in pens that require very little human contact until they are captured for sale. This lack of human contact helps insure that our birds will flush when hunted. Our goal is to produce birds that can effectively be used for early release programs as well as any commercial hunting operation. 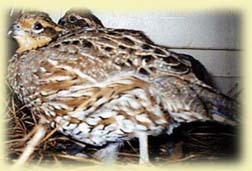 These birds have been weather conditioned as well as flight conditioned and ready to be released on your property. 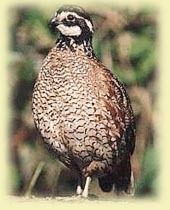 Click here to hear the Bob White Quail again. Contact me below for delivery options. For more information or to order birds, email me at fitz@sterling.net or call at 620 - 278 - 2655.